One of the selling points of travelling Indochina region of Southeast Asia is that majority of the destinations are reachable by land; No need to pre-book airline tickets except that you'll have to endure Loooonnnggggg hours seating in the buses. 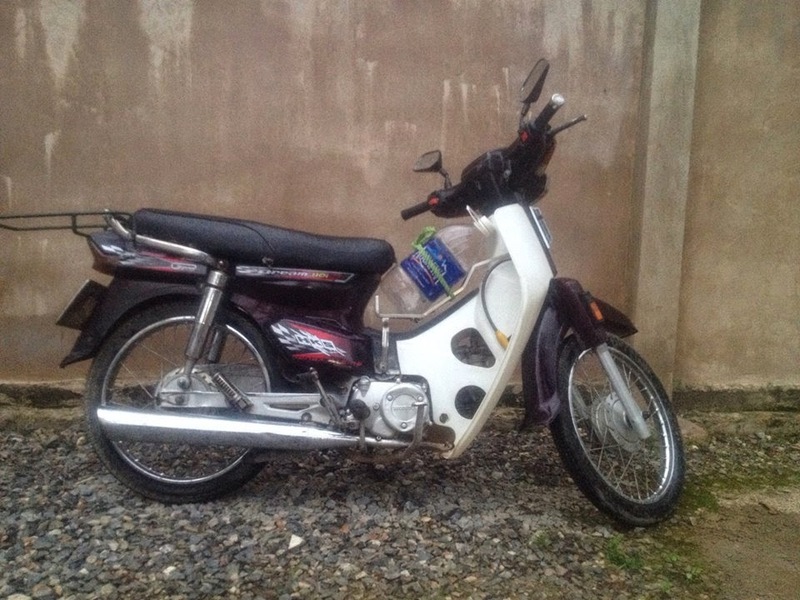 As I entered cambodia during my #LimbonisASIA trip, I've read that it is possible to cross the 3 countries, Vietnam, Laos, and Cambodia using a vietnamese motorbike. Back in my country Philippines, I rode a motorbike from Manila to Bicol (and how I wished I had the time to do it all the way to the south), and enjoyed it a lot. There is the freedom to stop at any point, as frequent as preferred, and as slow or fast as necessary. Thus, I decided to buy my own, a Honda Dream, and drove into these 3 countries. 1. Be smart in buying the bike. 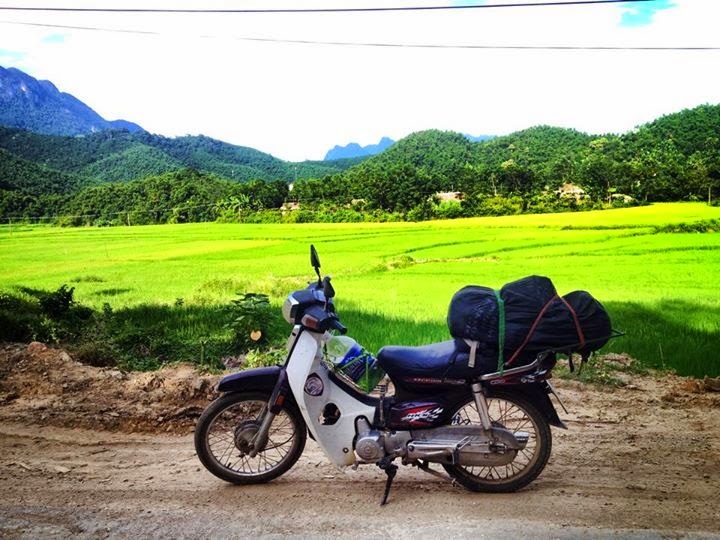 If possible, start your trip from North Vietnam, Hanoi, where bikes are cheaper compared to the South (Saigon). You may either check craiglist, or expatblog, or check postings from bulletins of guesthouses or street posts, or better yet, get to a garage. 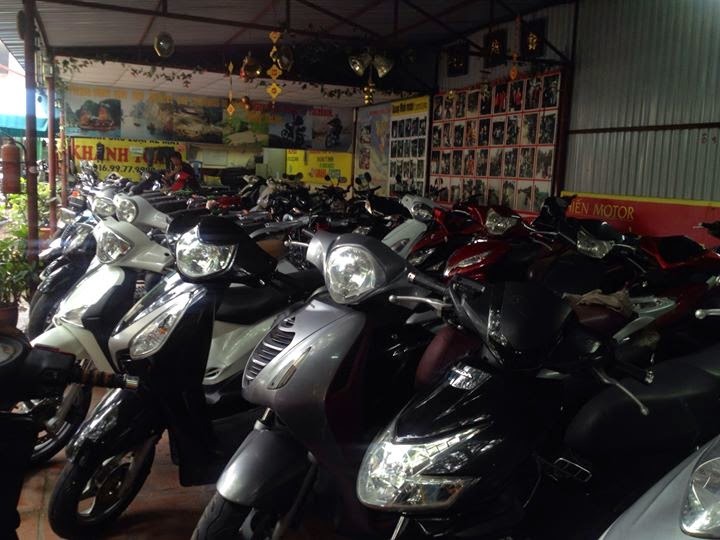 Garage prices in Hanoi are $200 up. Purchases normally include a Helmet, Rack, and in cases raincoat, lock and spare keys. You may opt for the manual or semi automatic or fully automatic; Manual bikes tend to be heavier, and you have to factor in that you can control the weight of your bike. Likewise, automatic bikes tend to consume more fuel but are great for uphill/ascend. As for the brand, I suppose Honda are the best are parts are available everywhere. 2. Ensure you get proper documents. A deed of Sale (Document shall say Ban Xe) and a blue card. 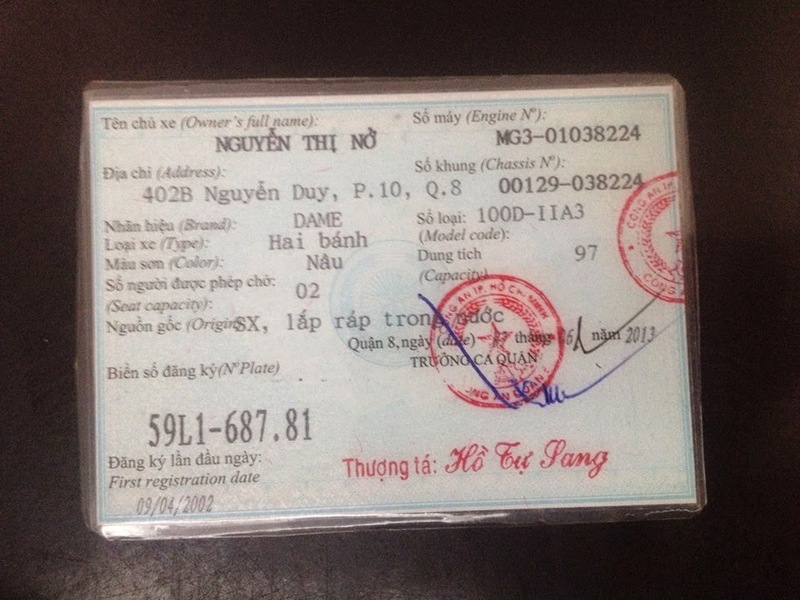 In crossing countries, the decorum is to get through the customs office of the borders, and get a Exit paper and Temporary Import Document (showing that you legally took it in and out of the countries; In Vietnam it shall be a green paper costing $10); However, Vietnam immigration normally just need to see the plate to let you in. For Cambodia and Laos, procedure are a little different. 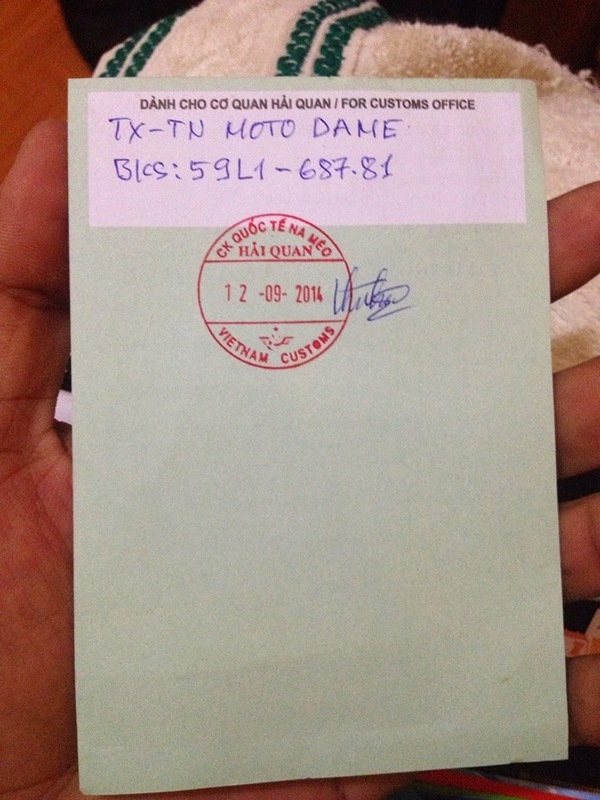 In Laos, I’ve tried asking for the temporary import document (Nameo border) but was asked to just go. 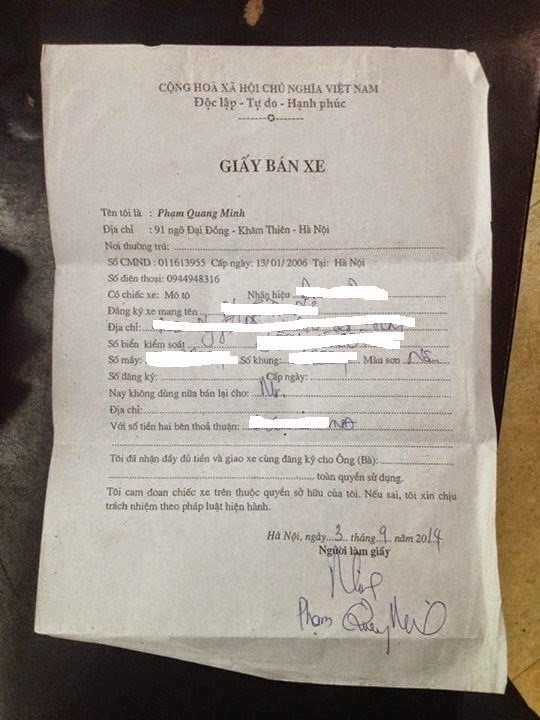 Later, I was stopped by Laos police, asking for document, but I told them I wasn’t given anything though I asked. After a call to, I suppose the police head, I was left free. In Cambodia, all of what I read, and all the other travellers I met didn’t even bother ask, and did not have any problem, so did as advised. 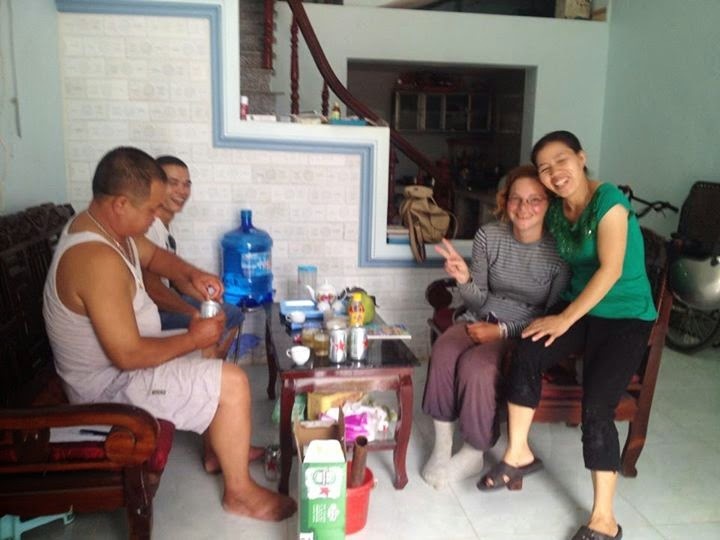 I think the idea is that the bike is assumed to be going back to Vietnam anyway in a quick time since user is only on travel. 3. Always wear your helmet, not just that it may be grounds for policeman calling your attention, but also for your safety . 4 . In Vietnam, speed limit is only up to 40kph in any highway, but this is impossibly slow when you’re moving from city to city. 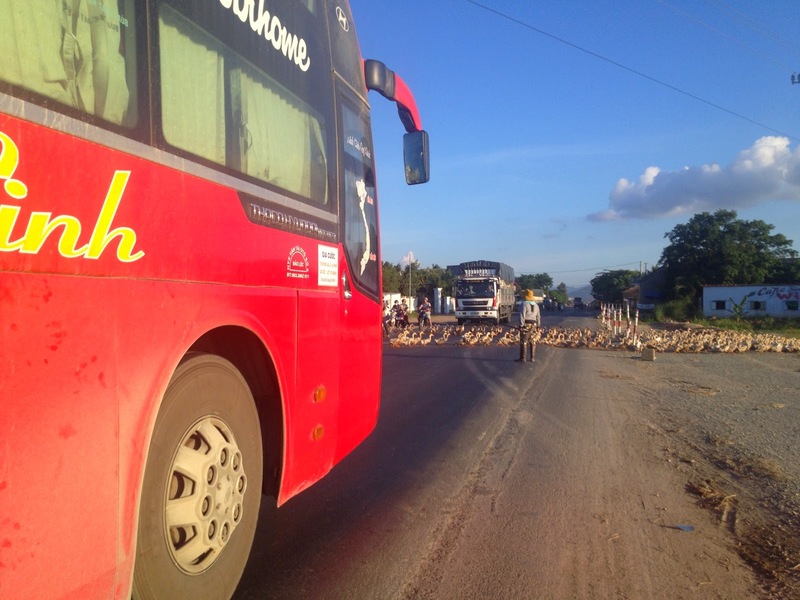 Speed up if necessary but not compromise your safety; Take note as well that sometimes, no matter if its an asian highway, buffalos, cows, and even ducks may sudddenly cross the road; Reserve some anticipation. Slow down if you see a police; If they stop you, show them passport. No need to escape them away just like the locals. 5. Lights on during daylight is illegal in Cambodia. Any road violation though in this country shall not cost more than $2 though. Never fall into paying more than that in case they accuse you of anything. 6. Tollways are free for motorbikes; Take the rightmost lane and pass safely. Highway’s rightmost lanes are intended for bikes, and tend to be favourable as they are smooth. You may have to go in and out though as some bicycles and even motorbikes (lazy to cross to the other, proper lane on the other side of the ride) coming from the other way may also drive on this lane. especially on the Asian highway used by delivery trucks and buses, potholes come in surprise. Buses, Trucks and any other private vehicle would take your lane, and wont care about you. Nothing beats being attentive and never compromise on your right of way. Avoid asian highway. 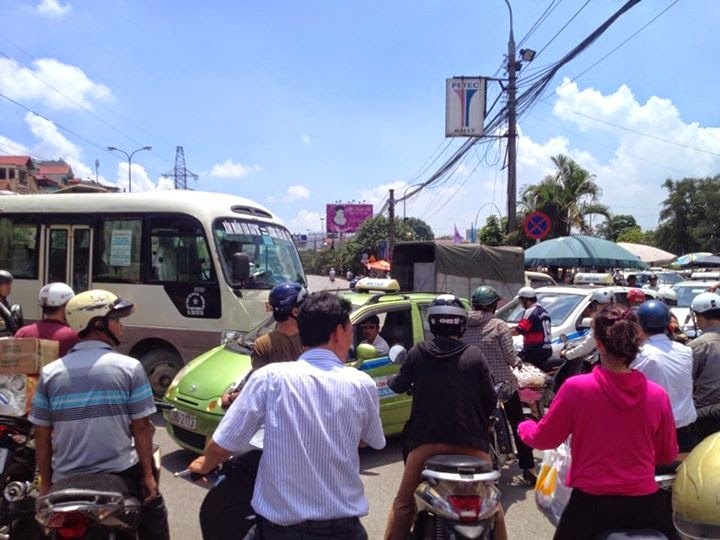 The ho chi minh road is much smoother and no traffic, except that it may be a little far off from the cities. 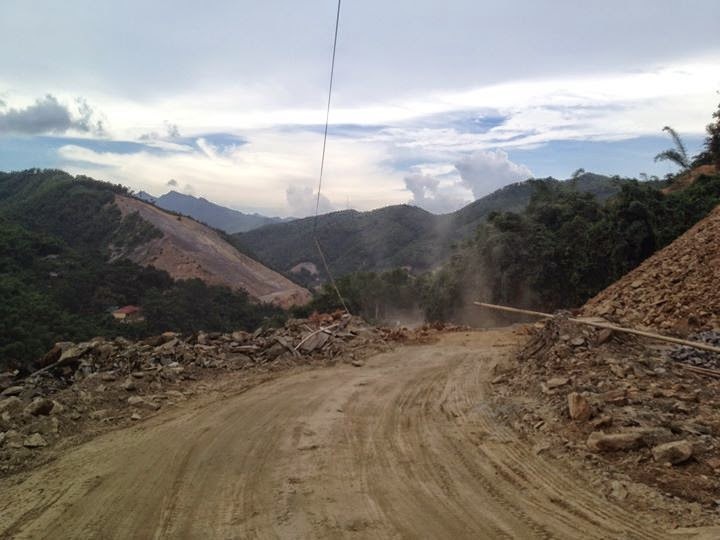 Then again, in north vietnam, you'd rather drive here and then into the cities, rather than endure the traffic, dust, and rough surface of the asian highway. It may be extra kilometres, but sure saves you time. 8. Tie your bags very well and secure passports. 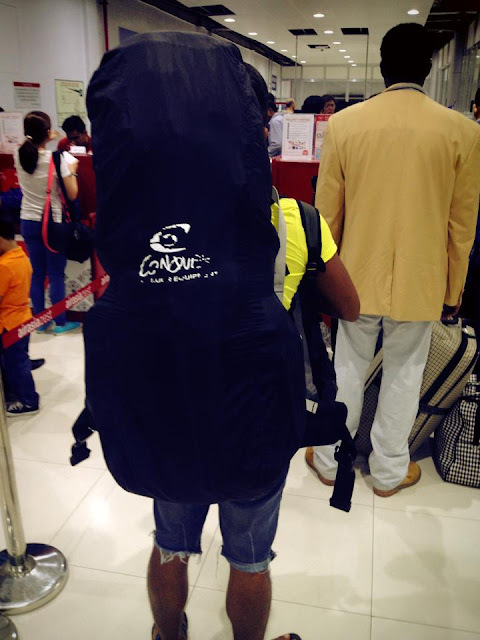 You would not want to arrive without one of your luggage especially that with your passport and atms. This has happened to us, luckily, the local guy who picked it up was honest enough to pick up our call to hand over the bag. 9. No need to bring lonely planet. Wikitavel or Travelfish shall be enough. You have a bike, which gives you the added advantage of being able to explore. Also, When locals say its far, its a walk away. There will also be some cases where locals will hitchhike . 10. In Lao, distance between cities may be far apart, so expect to drive morning til late. There may also be no restaurant along the way, so prep up for a little snack. Also, the fuel stations aren't as convenient as in Vietnam; it won't hurt to keep a liter or even just half (in a small bottle) just in case. Much of Laos is still jungle. 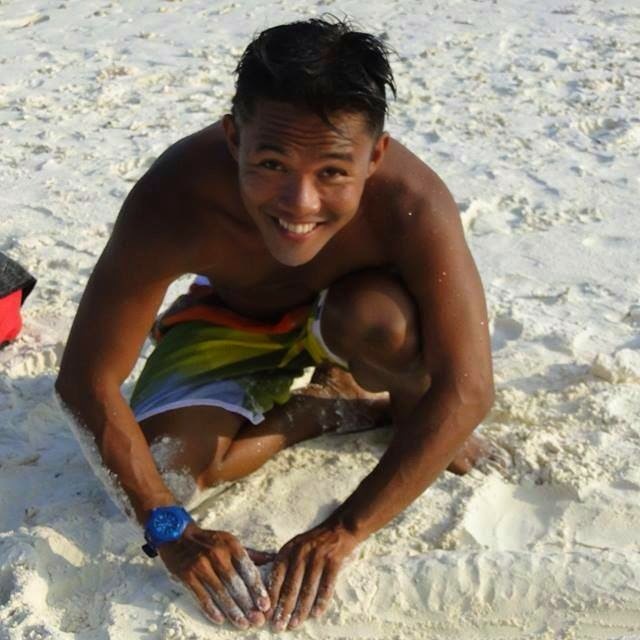 Hi guy!!! so good to find your post. I'm now in Hanoi and me and my wife are planning to buy a bike and go through Vietnam, Laos and Cambodia. 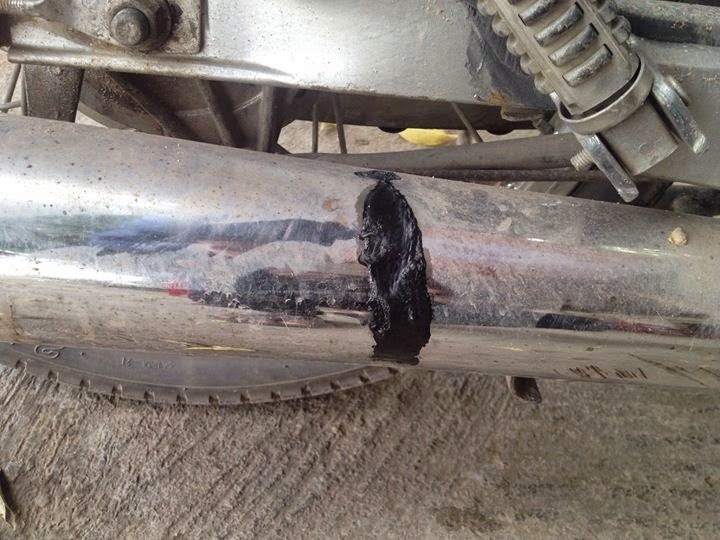 The only doubt I have is about the customs documentation for exporting motorbike. Must be provided by the seller or have we to get it by ourselves? In the last case, how can we do it, please? 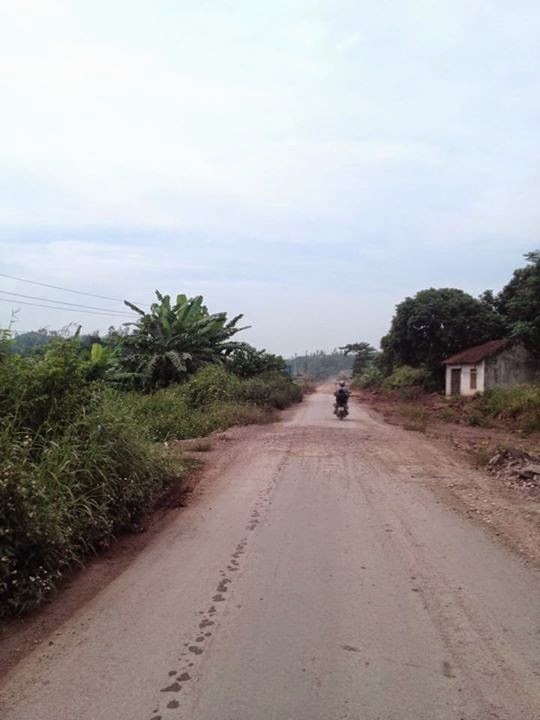 i did not have any problem crossing vietnam to laos. 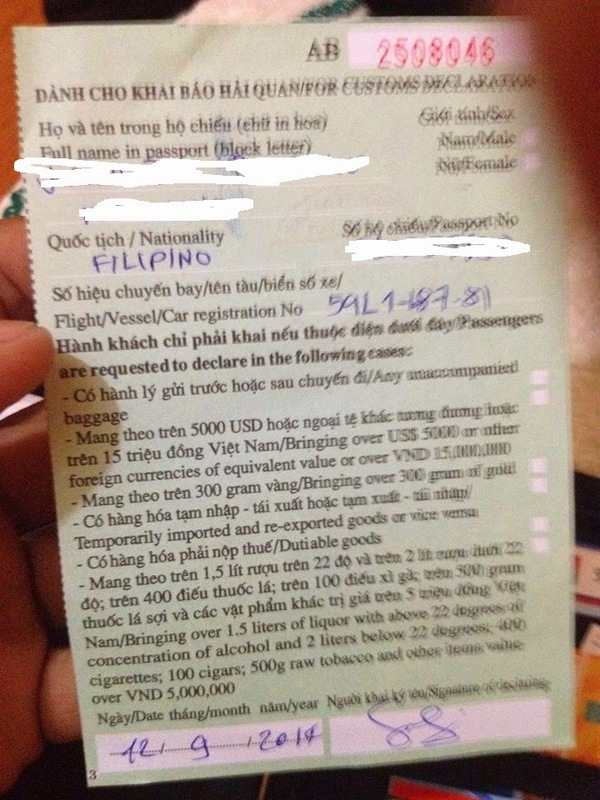 In case you'd get the green export doc from vietnam, try to have it stamped by the laos immigration too. I was offered that in the nameo border by the laos immigration officer, but he could not find the customs officer, and just let me go, and said it will be fine.